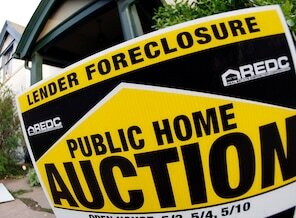 A Florida law firm agreed Friday to pay the state $2 million in penalties for allegedly mishandling foreclosures — the first deal of its kind since the uproar over the issue began last fall. Gallery: Thousands of foreclosures are put on hold: During the housing boom, millions of homeowners got easy access to mortgages. Now, some mortgage lenders and government officials have taken action after discovering that many mortgage documents were mishandled. The Law Offices of Marshall C. Watson was among the prominent law firms investigated by state authorities after major lenders, including Bank of America and J.P. Morgan Chase, admitted last fall that their employees had “robo-signed” foreclosure cases without reading them and improperly notarized some documents. Investigations into these practices are being conducted on several parallel tracks. Besides investigations by various states, federal regulators are conducting a review of national banks. Attorneys general from 50 states have joined with the Obama administration to try to negotiate a broader settlement with the mortgage industry. Many of the parties involved disagree about the deal’s provisions, including the size of the cash penalty the banks should pay. In the Marshall C. Watson case, homeowners complained about robo-signing and notary issues as well as whether documents had been forged, according to the Florida attorney general’s office. They added that their foreclosure notices were not served properly. In some cases, relatives with no stake in the process were served notices and the homeowners were billed to cover the cost of those actions. The settlement does not include any admission of guilt by the law firm. Bondi is among the Republican attorneys general who have expressed doubts about the deal being crafted by the Obama administration and the other state attorneys general.Half of the fees paid by Marshall Watson will go to the Florida attorney general’s office to fund investigations; the rest will go to a state nonprofit group that provides legal assistance to Florida homeowners facing foreclosure. The settlement also requires the firm to prepare foreclosure paperwork beyond what is required by Florida law. Thomas Ice, whose Florida law firm was the first to depose Jeffrey Stephan, the now famous “robo-signer” whose testimony forced banks to impose a mass freeze on foreclosures last fall, said the settlement is “a step in the right direction” but does not go far enough because it does not help those who have lost their homes to possibly fraudulent practices. “I think there are going to be a lot of people upset about this,” Ice said. One of the other firms under investigation, DJSP Enterprises, a foreclosure business run by lawyer David Stern, has stopped processing home seizures, according to a March filing with the Securities and Exchange Commission. Freddie Mac and Fannie Mae, which were once among Stern’s top clients, barred the firm from handling their foreclosure cases last year after the firm came under scrutiny from Florida law enforcement. Stern is suing Freddie Mac for $1.3 million in legal service fees he says he is owed.